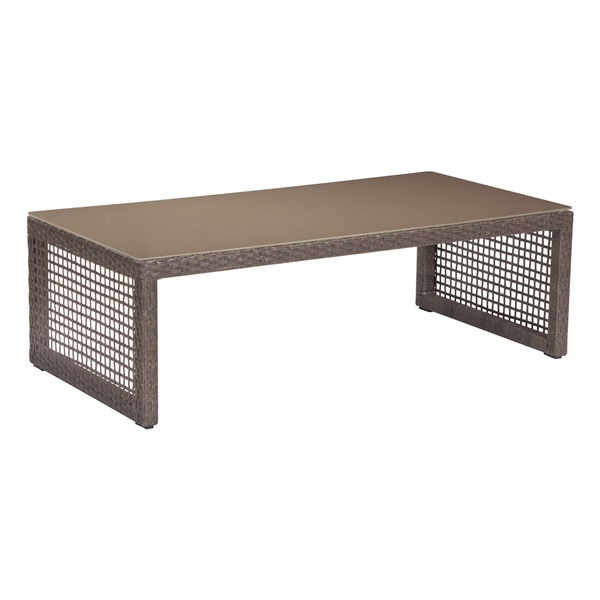 For those who want to enhance an outdoor setting's décor, the Coronado Coffee Table is a must-have. This statement piece boasts a distinct cabana style that makes the table a great fit on a patio or back deck. It also features a see-through basket weave design and is constructed from synthetic woven resin for unparalleled versatility and functionality. Select a coffee table that looks and performs great outdoors thanks to the Coronado Coffee Table.